Best go karting I've experienced so far! Cheers for dropping by and for the the feedback! 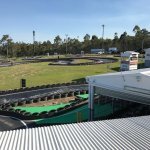 We take this philosophy to our two other nearby venues - Slideways Go Karting Gold Coast at Nerang (the only three storey indoor kart track in the southern hemisphere), and Slideways Go Karting Brisbane at Eagle, which is currently undergoing a massive renovation. The other indoor tracks have a unique track surface, which allows you to drift around the circuit. We have been here many times over the years from when my son was about 4 and we used to share a cart. It has changed owners in recent years and they have taken it to a new level. New cats, new technology, a 'lounge' type area, one inside, one out. There is a viewing area upstairs and it was great to see my son, now 15, try to beat his fastest laps. This costs $66 for two 10 minute sessions, but the best value is the 4 session VIP package for $100. 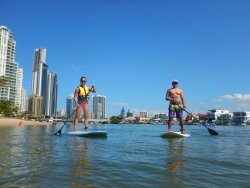 If you don't use all 4, you can come back any time in the future to use them, You can also use their other centres in Brisbane and Nerang. It is safe and well managed and I would highly recommend this for a fun and action packed thing to do, away from the theme parks. We'll be back, no doubt! Cheers for dropping by, glad you had a good time! Well it was my sons bucks and the go karting was organised and not to let anyone down I thought I would also go and keep the youngies company. Well it did not work out that way because I was involved in 3 races. Now never been go karting before I did not know what to expect but let me tell you oldies a thing or two: it was exiting and the adrenaline was pumping high. I came last in every race but bettered my time by 6 minutes by the last race. It's a bit shaky but it is worth the ride. You have the option of how many races you want to do and it in the scheme of things it's not that expensive. It's another one of those bucket list things you need to do. 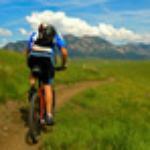 You don't need to be 100% fit to do it but close enough is good enough. They even have a kids track so you take the family with you. The shop is well stocked with gear and you will not regret going, I'm sure of it. 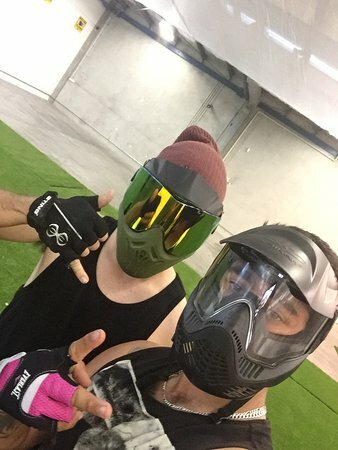 Cheers for dropping by, and we're glad you enjoyed yourself! 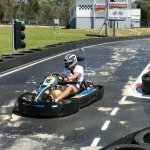 Now that the karting bug has bitten, why not check out our indoor venues at Nerang and Eagle Farm! This place is amazing! My now 9 year old daughter is obsessed with the kids track and would spend all day on it if she could. 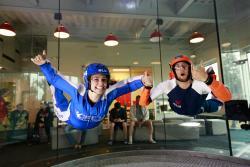 The prices are very reasonable and the staff are helpful and friendly. Myself, I love the Nurburg track and find it challenging but sooo much fun! 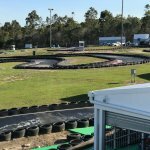 The karts are fast and have great handling. I would recommend the Gold Pass as it give you 4 races for $100 and you don't have to use them all at once. You can also use the races at other Slideways Centres. It is definitely the best value for you money. Cheers for dropping by Tagan! 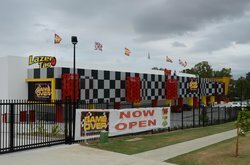 Don't forget our other two locations - Go Karting Gold Coast at Nerang and Go Karting Brisbane in Eagle Farm! Took the kids go-karting on the first day of 2016 mainly to get them off their gadgets but for some family fun as well. Slideways was not our first choice as the other was closed for the public holiday. However in saying that we had some serious fun. The minimum is 2 races at $66 each for adults plus a $7.50 annual licence fee. Each race is about 10 minutes in duration. The Nürburgring circuit track is about 700m in length. We were paired with others of greater experience which was a bit of a challenge with my lesser experienced daughter who was regularly blue flagged and a little scarred. 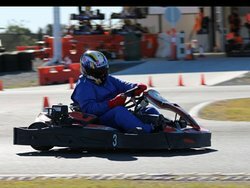 The go karts are 9hp and create a good workout as you speed around the track. They propel you around the track up to 70km/h along the back straight. I averaged 48.094 seconds for my second race which was still 5 seconds slower than the day's best at 43.356 seconds. Whisky not a cheap day out for the time it was great fun and adrenaline packed. Will be back next time in the Gold Coast.